The Nigerian showbiz industry is one that is very entertaining as not a moment goes by without celebs giving their fans something to talk about. Nigerian fans on social media are also an entertaining bunch as they sometimes throw jabs at celebs who in turn respond. 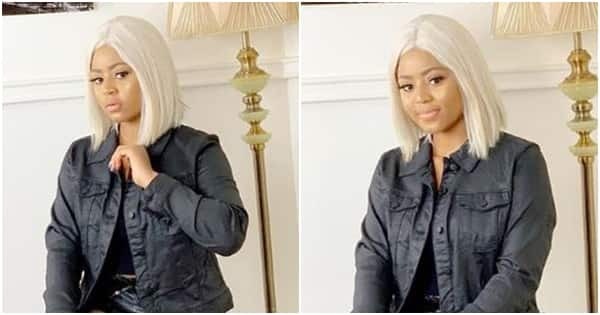 Teenage movie star, Regina Daniels, is one actress whose display of wealth on the internet has made many people happy for her success and also raised questions in the minds of others about her source of income. Daniels is no doubt an actress and also an influencer for some brands but some fans still feel it is not enough for her to afford her affluent lifestyle. She recently made the news after she bought her second Mercedes Benz and also a house for her mother. The news raised a number of reactions from fans as they wondered about her wealth and the youngster seems to have taken to her page to reply them. Meanwhile, the star seems to have built quite a brand for herself that she was even appointed as presidential candidate, Atiku Abubakar's youth campaign coordinator. She took to her Instagram page to share the news as she claimed that Atiku is a youth friendly leader who promised to make youths his cabinet members.